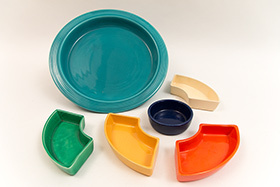 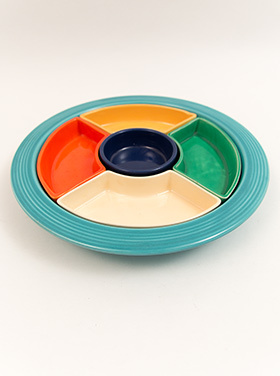 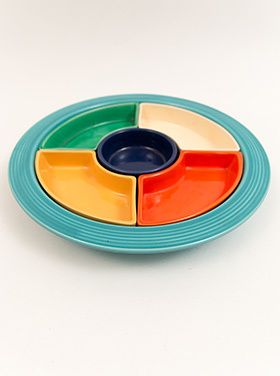 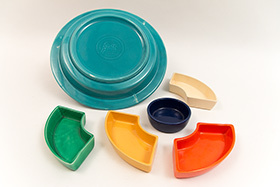 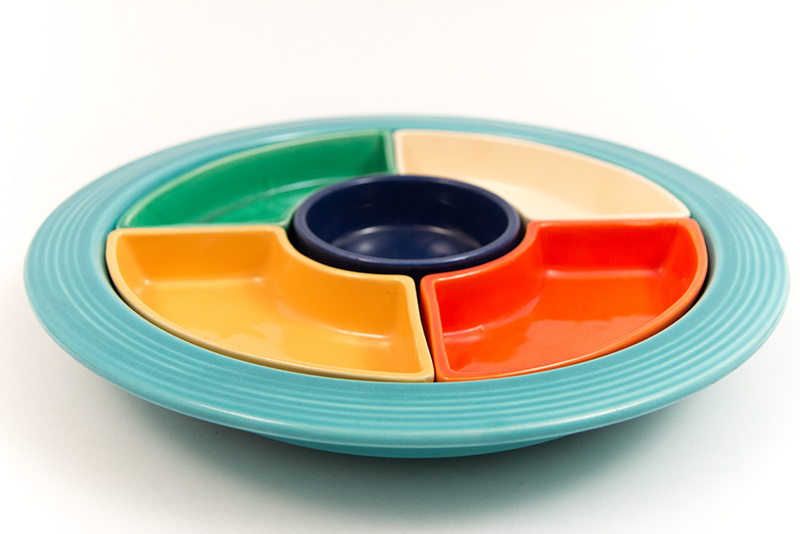 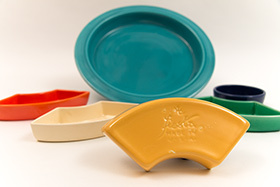 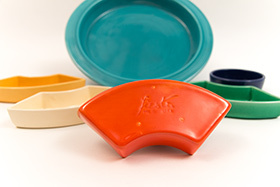 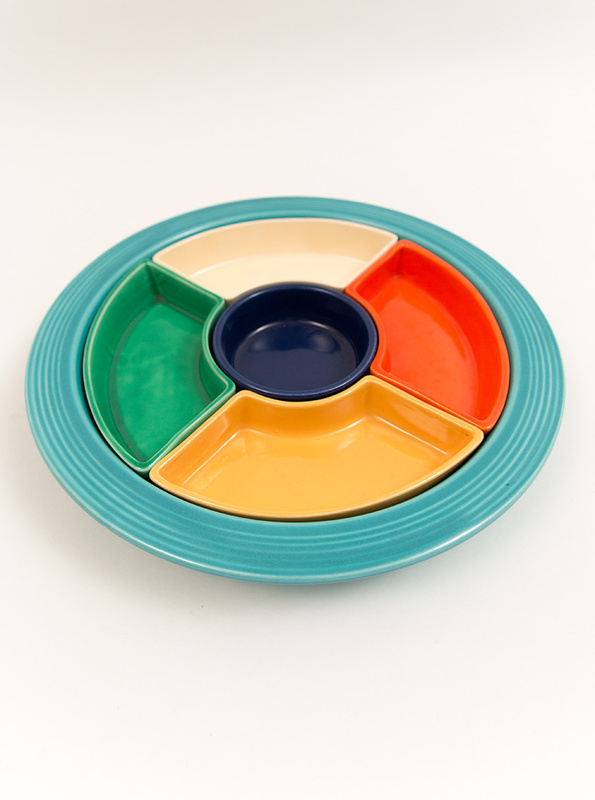 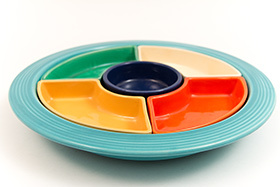 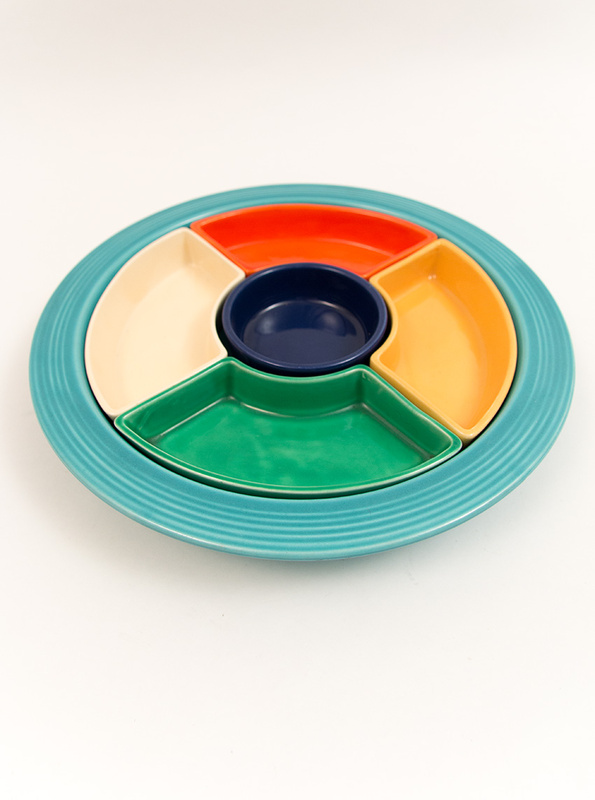 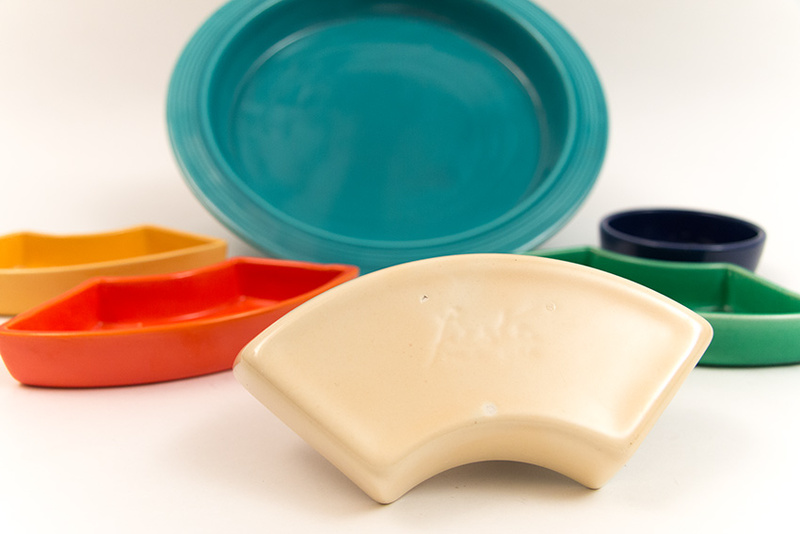 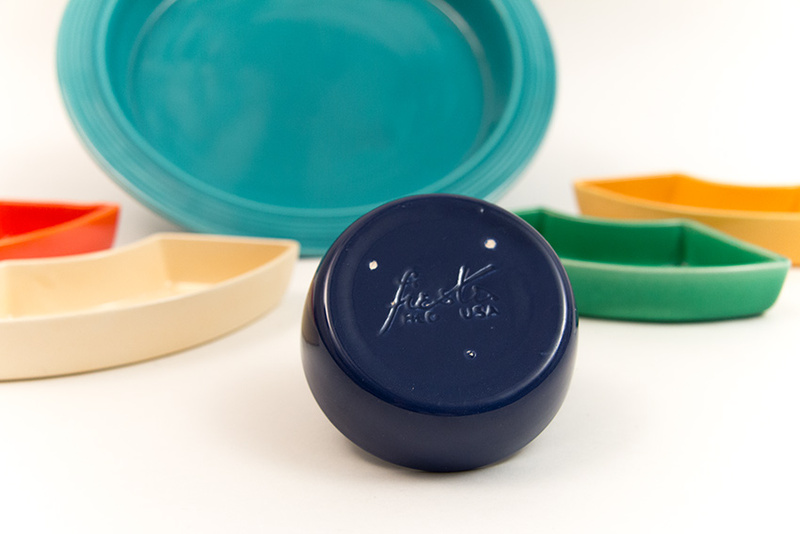 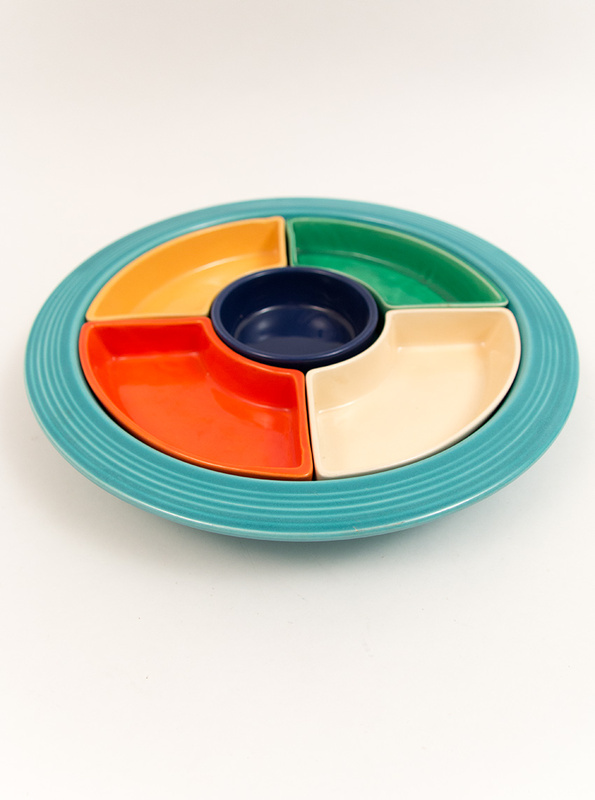 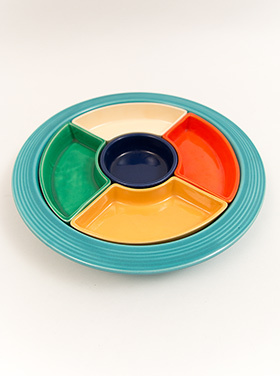 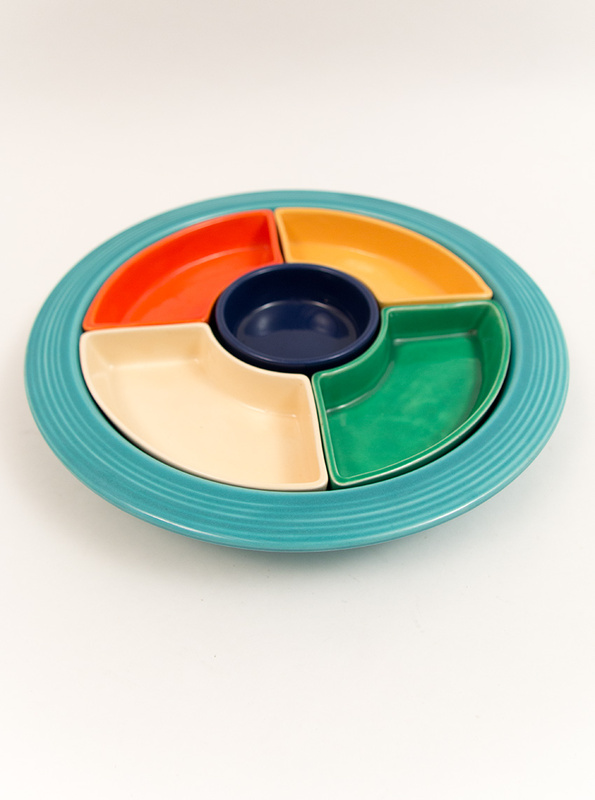 Circa 1936-1946: Fully Marked: Next to a complete set of Fiesta nesting bowls, the Fiesta relish tray gives us the most opporturnities to mix and match our favorite Vintage Fiesta colors. 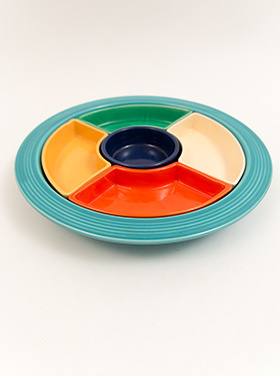 This example boasts all six original colors on the Original Turquoise Vintage Fiesta base, in a strikingly bold color combination with the red center playing off the large turquoise base— a truly wonderful example of one of the highlights of the vintage Fiesta collection. 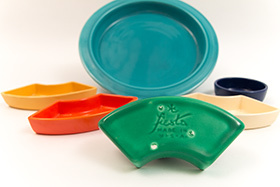 All the pieces are marked and the whole tray exhibits no use and shows no damage or flaws - a wonderful example of the original Vintage Fiesta relish tray. Measures 11" wide and 1 1/2" tall.